When attempting to accomplish a task in your life, the fight can often seem to be beyond you - Maybe you are not good enough, big enough or intelligent enough to succeed. 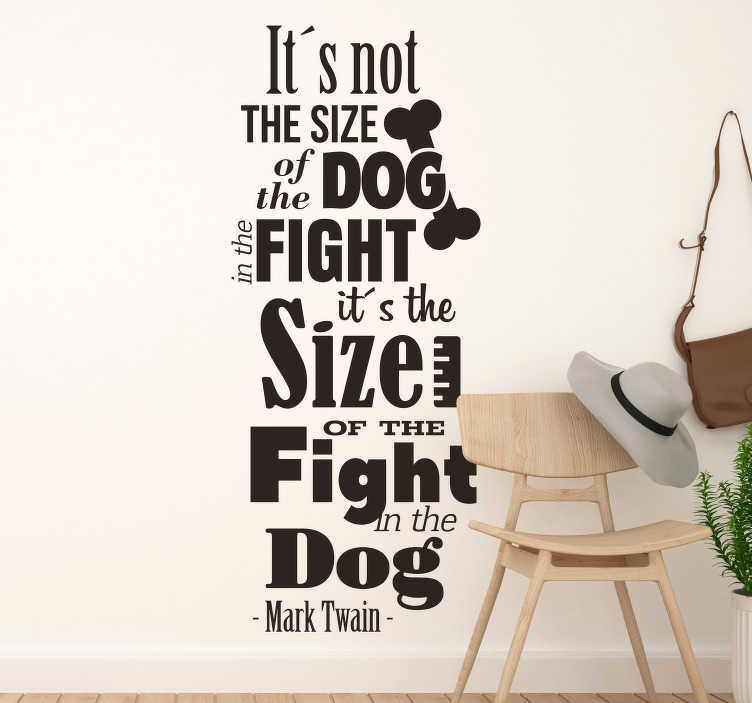 Well, that is a load of rubbish, because, as this quote wall sticker shows, it is about the size of the fight in the dog, not the dog in the fight! It is one of the most iconic and recycled quotes, which means it simply had to be transformed into a living room sticker!